How the man got into the drain near 67th Avenue and Indian School Road is still unclear, firefighters said. 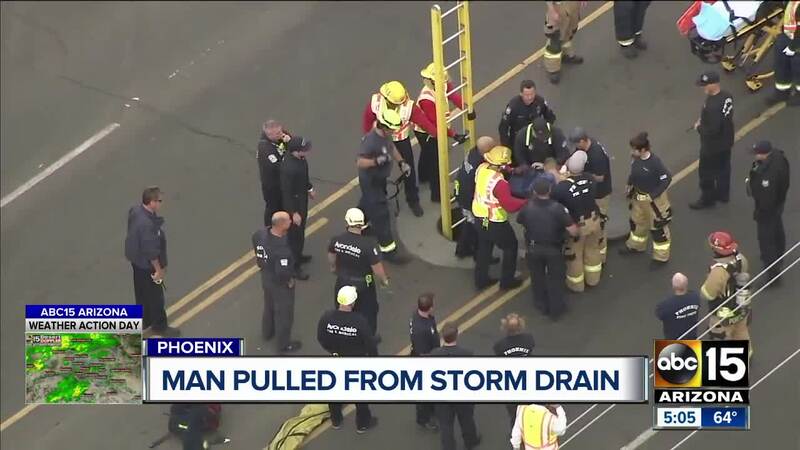 PHOENIX — Phoenix Fire officials rescued a man who was reportedly stuck in a storm drain near 67th Avenue and Indian School Road Tuesday morning. They were called to the scene around 10:30 a.m.
Video from the scene showed crews in the middle of the road working with a ladder down a manhole. Crews were able to successfully get the man out and he was removed from the scene on a stretcher. Firefighters say he did not suffer from any serious injuries. It's unknown why the man was in the hole or how he got there. A contractor working in the area heard the man's screams for help and called 911. "I was working on the air-conditioning and for about 15 to 20 minutes I heard yelling," he said. "After a while I got curious and walked out,” said Marcus Pippin. “I thought maybe there was a fight going on in the apartments. I got to the street and I heard the word 'help'. I looked down on the grate and saw the guy about 40 feet in the pipe." 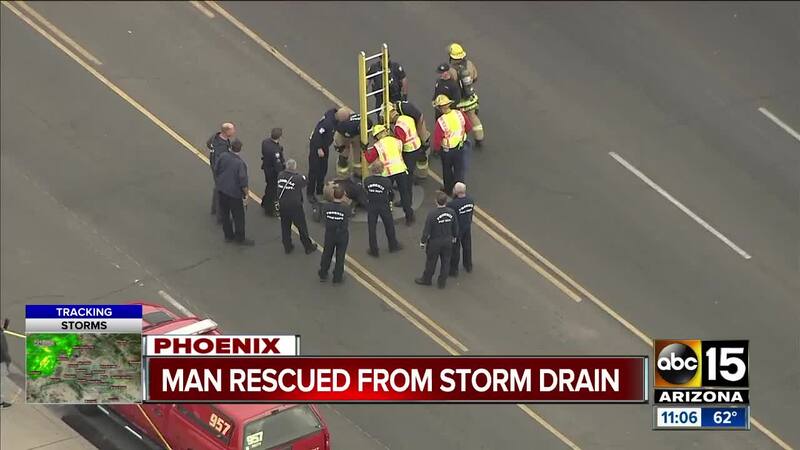 Phoenix fire says this is an important reminder to stay away from storm drains. "The lesson is don’t go near storm drains. Stay away from them," said Fire captain Danny Gile. "They’re very tight, confined spaces and they’re very dangerous if you get in them."